Francesca has been working as a researcher and project manager for the CSCP since 2010. Throughout this time, she has been coordinating European projects, conducting in-depth action research analyses, developing innovative methodologies and tools as well as planning and implementing multi-stakeholder interactions within the fields of eco-innovation, sustainable entrepreneurship, the circular economy, climate smart agriculture and sustainable cities and lifestyles. Francesca has also been actively involved in the development of training material for the financial sector, business associations, and SMEs in developing countries. She has produced several transnational studies focusing on the untapped potentials of energy and resource efficiency strategies, and on the impacts of circular economy policies on economic, environmental and social benefits linked to these innovative solutions. Francesca is currently working on projects facilitating an efficient communication and interaction between policy makers, administrative agencies and the scientific community to create more sustainable, equitable and healthier lifestyles in Europe. 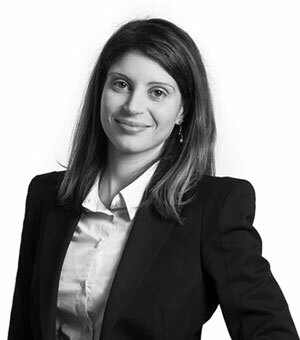 During her career, Francesca has also worked at international research advisory organisations and private firms in the fields of financial market regulations, CSR, product development and implementation strategies, as well as policy related services, justice strategy advices and innovation labs. Francesca holds a PhD in Science and Management of Climate Change from the Ca’ Foscari University Venice, in Italy, and an MA in International Relations and Diplomacy from Leiden University in the Netherlands. The focus of her studies lies on climate change mitigation and adaptation modeling, practices and policies, as well as EU politics, structure of international organizations, diplomacy, and international security theories. Francesca speaks English, German, and French. Francesca is an Italian national.